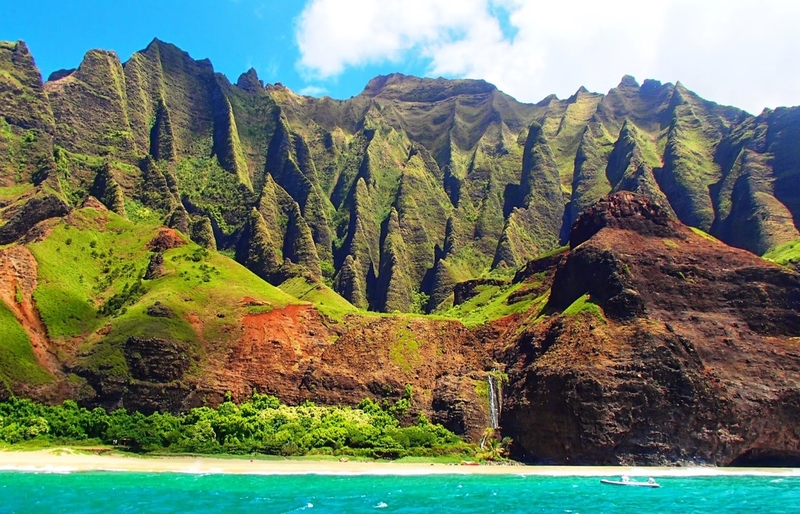 This jaw-dropping 7 day Sacred Mythic Journey is set on the beautiful Kauai in the Hawai’i island chain, and this is definitely one part of the island that is absolutely worth heading to, the Nā Pali Coast. 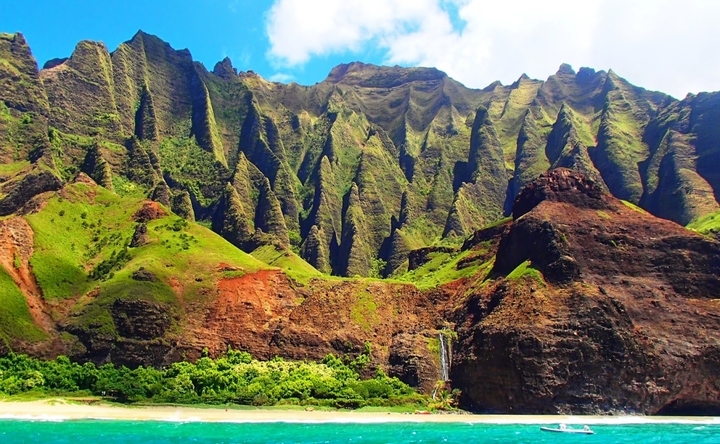 The Nā Pali Coast extends from Ke’e Beach on the North Shore to Polihale State Park on the West side of the island as it leaves us speechless every time. 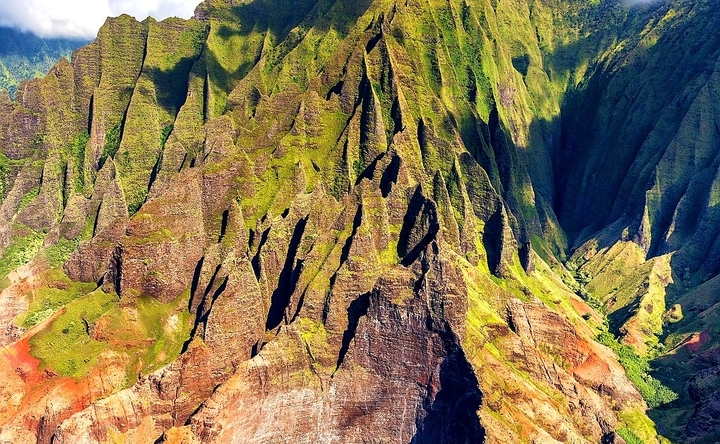 With five-million-year-old plunging sea cliffs rising up four thousand feet above the Pacific Ocean, the Nā Pali Coast really showcases the island’s volcanic past. Its dramatic scenery is totally unique, with its hidden sea caves, arches, secluded beaches, flowing waterfalls; and curtain-like vertical folds. You will have to be pretty fit for this hike! 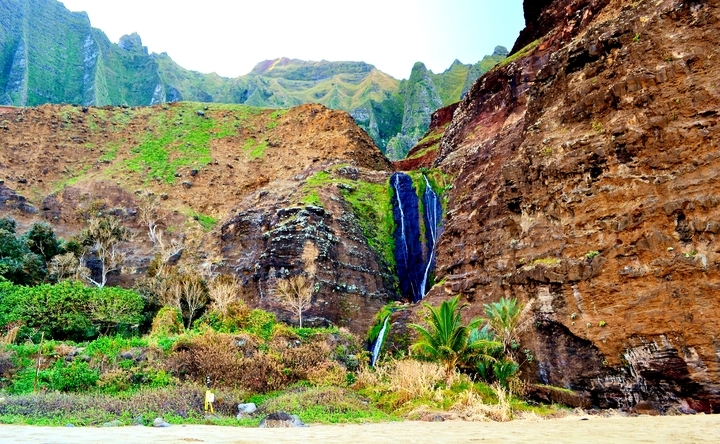 The Kalalau Trail is a great hike and the only way to access the Nā Pali Coast by land. 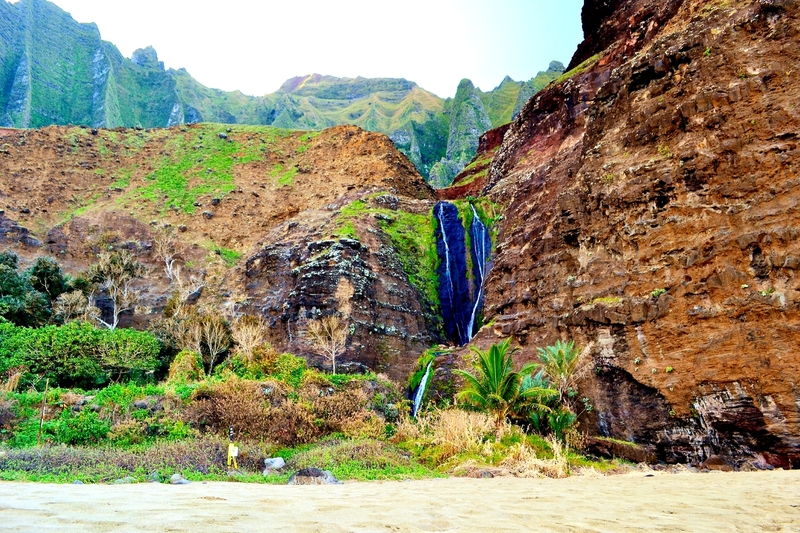 The trail takes us through five lush valleys, across towering sea-cliffs and ends at the secluded Kalalau Beach where the sheer cliffs prevent you from hiking further. This eleven-mile hike (one way) is definitely not for beginners. If you are an experienced hiker and don’t mind camping, or showering in waterfalls then you should definitely go for it with us. 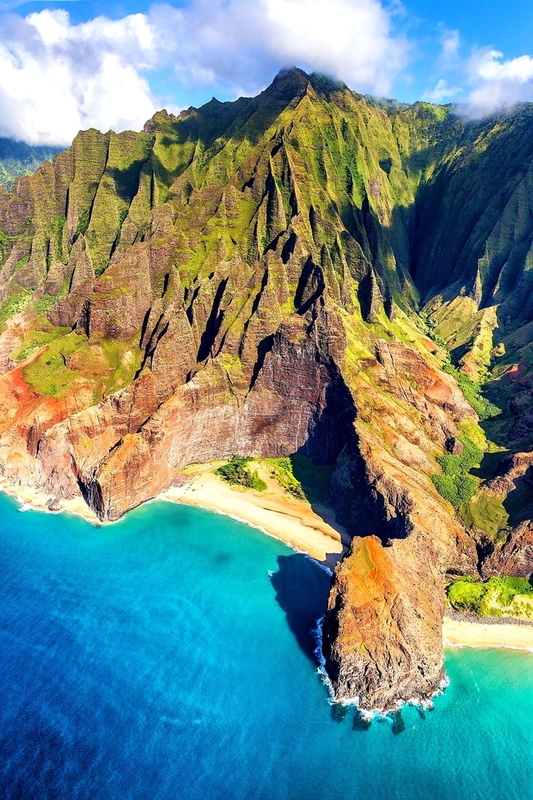 One of Hawaii’s best kept secrets is Kauai’s “Grand Canyon of the Pacific,” a huge gorge named Waimea Canyon that’s 14 miles long and 3,000 feet deep. 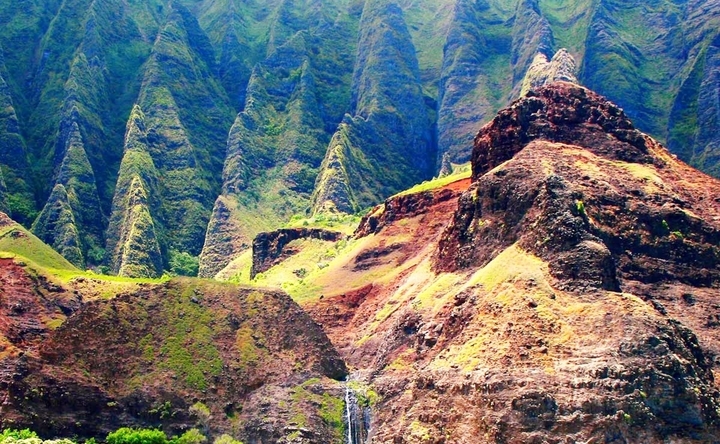 Although small in comparison to the real Grand Canyon, which is 277 miles long and 6,000 feet deep, Waimea Canyon is a geological gem of the most unexpected kind on the otherwise lush, green “Garden Island” of Kauai. Kauai is not for everyone. Especially not for those who seek bustling entertainment. There are no nightclubs, no discotheques, and no big-name performers on this island. 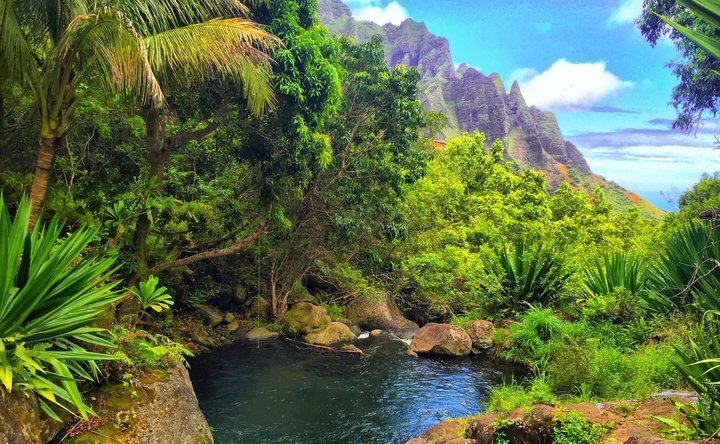 Instead, you’ll find green mountain peaks, hidden waterfalls, pristine beaches, gentle flowing waters. There is mesmerizing beauty wherever you look. 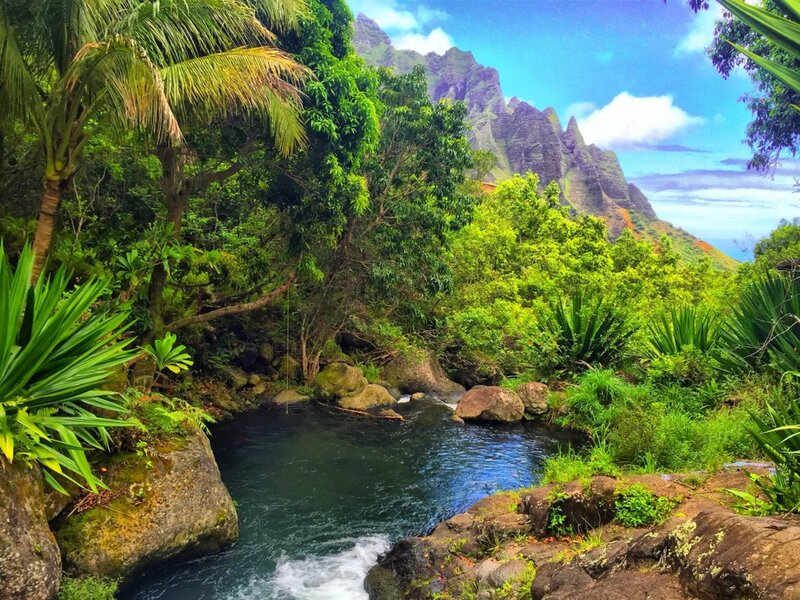 Kauai is rather a haven for outdoor lovers, a place of tranquility where you can reconnect with nature and your inner self. 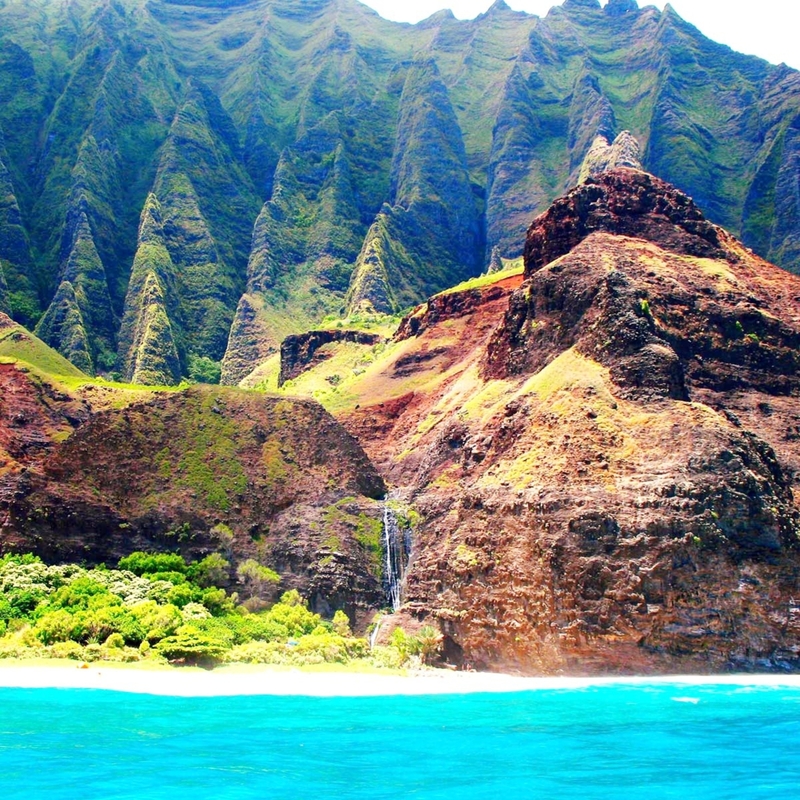 Kauai is also full of myths and legends – stories of gods and men, of love and betrayal, of birth and death. Like most indigenous people, Hawaiians explained everything through legends and folk tales of passion. Almost every place on the island has a backstory that ties its name to the culture and the people who inhabited these islands centuries ago. Some of the Hawaiian legends are quite popular while others are less known. Marc received a Bachelor of Science degree in Civil & Building Engineering from Loughborough University, England in 2002 and worked for various global construction projects for over 4 years. Then after embracing and finally having the courage to follow his heart early on in life, feeling strongly that there was something more than meets the eye to the world around him, and trusting his curiosity to explore this strange feeling and mystery inside of him more deeply, he took the giant leap of faith into the unknown for himself and hasn’t looked back since. Sixteen years later after working and traveling in some very remote parts of the planet such as Tibet, Nepal, China, Tanzania, Thailand, Fiji, El Salvador, Venezuela, Honduras, and Brazil as a scuba diving instructor, coral reef conservation project expedition leader, and keen surfer, skydiver and snowboarder, he realized truly with much more clarity where his life had been leading him all this time and what it had been preparing him for!In September 2014, Marc was called to leave Central and South America, more specifically Guatemala, Mexico, Peru and Bolivia, that had been his main bases for over 7 years, and begin his new cycle of life in Hawai’i and the United States. This he felt would accompany his love for the ocean and 15 years of very ungrounded informal training in the field of the human psyche and spirituality perfectly, and so to balance himself out more evenly between the worlds and in a much more grounded way by the end of 2016 was his goal.Marc’s multiple near-deaths in his 20s in his shamanic vision quests and world travel adventures, catalyzed his visionary gifts as well as his desire to live life to the fullest. Since then he has been driven by his heart and passion to inspire people, create a stable family home, find the secrets to true happiness, and to help people create better lives and a better world for themselves and for each other.WHO IS KUMOOJA BANYAN TREE?Kumooja (meaning – ‘One who flies Eagle with Condor and Hummingbird together’), is a pure open channel of cosmic guidance and universal healing. He is a bridge between worlds. He is a seer in the dark. He is a balancing act between worlds. And choosing to share with others that same feeling of complete wholeness and deep connection with nature, through the regular practice of `Self-Love’, changing of negative belief systems, and making conscious choices with focussed intention, is the simple nature of his life work.Kumooja Banyan Tree has had several near death experiences in his life. He has tasted severe mental illness and felt first-hand what its like to live with a shattered soul, until he finally woke up and accepted his destiny as a shaman and energy worker. For over 7 years Kumooja trained with Shaman’s in North, Central and South America and discovering, exploring and traveling to sacred sites all over the world to learn their special magic. Kumooja Banyan Tree’s work as a healer is growing around the world, and he willing to travel anywhere and everywhere to to work with his clients. He is a creative life artist, writer, poet, public inspirational speaker, company advisor and ceremonialist. He is in the process of creating a variety of Heart Energy Medicine media, tools and experiences to inspire, energize and empower people.Kumooja Banyan Tree harnesses, within his sacred toolbox of Heart Energy Medicine, the Indigenous Soul of all ancient wisdom teachings and traditional native cultures of the world. In his unique traditional-modern styled private and group sessions, workshops, and ceremonies, he roots, merges and blends together the powerful and natural, creative and ancestral, beautiful gifts of sacred sound and movement combined with deep, intuitive, spiritual, artistic expression; the same magical gifts we’ve all been blessed with and already have access to once we remember how.In this psychic mythical dance of feminine and masculine, sun and moon, dark and light, fire and water, mind and heart, he allows the energies of the Condor, Eagle and Hummingbird to seep-in and move through him freely and openly – to kiss, caress, and plant the same seed in the hearts of all that cross his path; promoting Instant Change, Self-Awakening, Deep Transformation, Self-Empowerment and Miracle Rebirthings! Kumooja Banyan Tree currently lives on the Big Island in Hawai’i.As a full-time Shaman, Advisor, and Artist, Kumooja Banyan Tree regularly conducts private Heart Energy Medicine individual, couples, and group shamanic healing sessions in Hawai’i. He also offers group, organization, business and corporate seminars and inspirational talks. In addition, he is available for private and phone/skype consultations nationally and internationally. For more information on scheduling Kumooja Banyan Tree, and on his work and heART, please visit www.heartenergymedicine.com.An Initiated Graduate from a wide selection of different World healing modalities, spiritual tools and techniques; Transpersonal Psychology, Thetahealing, Sacred Sound Healing, Vipassana Meditation, Qiqong, Tai Qi Quan, Hatha Yoga Teacher, AcroYoga Teacher, Reiki, The Munay-Ki Rites, The Medicine Wheel, and Transcendental Rebirthing Breathwork, to name but a few. Marc has studied and practiced numerous personal growth and health traditions for over 16 years. 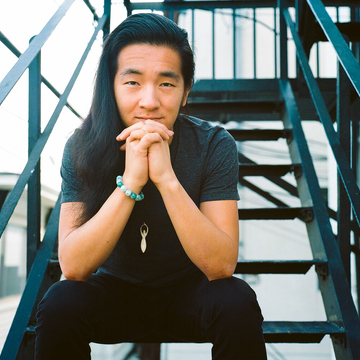 In the process he discovered and developed a form of synaesthesia, an ability to connect and explore people’s subconscious and help them to focus their intention and avoid mind traps in order to achieve maximum benefits from their process.Marc received a spontaneous Kundalini awakening in 2003 and was initiated into the Native North, Central and South American shamanic energy medicine practices between the years 2008 and 2013. 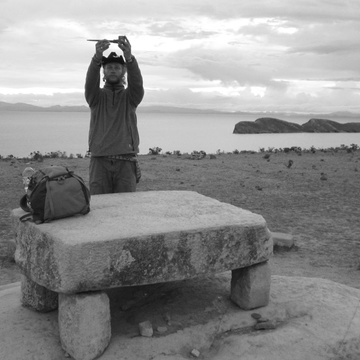 He has studied with many wise men, shamans and sages, learning tools such as Soul Retrieval, Illumination work, Shamanic ceremony and healing, guided voyages and medicine plants (including with: Mayan Cacao (raw chocolate), Peyote (Hikuri), San Pedro (Huachuma), Psilocybin Mushrooms and Ayahuasca), seeking knowledge and light. In the process he has lived amazing, magnificent adventures and healed childhood wounds and family relationships, becoming a very happy man. Ishika, Marc's life partner, grew up in Bangladesh, which gave her perspective on the different lives people are forced to lead due to their economic circumstances, and the terrible poverty and the intense hardships many face on a daily basis. The contrast was difficult to come to terms with. She was very spiritual from a young age, but the hurdles and challenges of life left her agnostic in her youth. However, a deep spiritual awakening she experienced in 2012 changed her life, and she turned to the shamanic medicine path.Mother Ayahuasca had called her name. Since then she has been on a journey of transformation and self-discovery; being fully committed to share her truth with as many souls as possible. Ishika believes that there is too much pain and trauma in the human collective, and that the path to a peaceful, harmonious humanity is through healing each and every individual, to spiritually empower them through their own awakening, and she is committed to working with Sacred plant medicines to assist this process in the world. Returning to nature and our native roots will help us build a strong community with moral values that come from the Heart, ready for our deepest healing to occur.